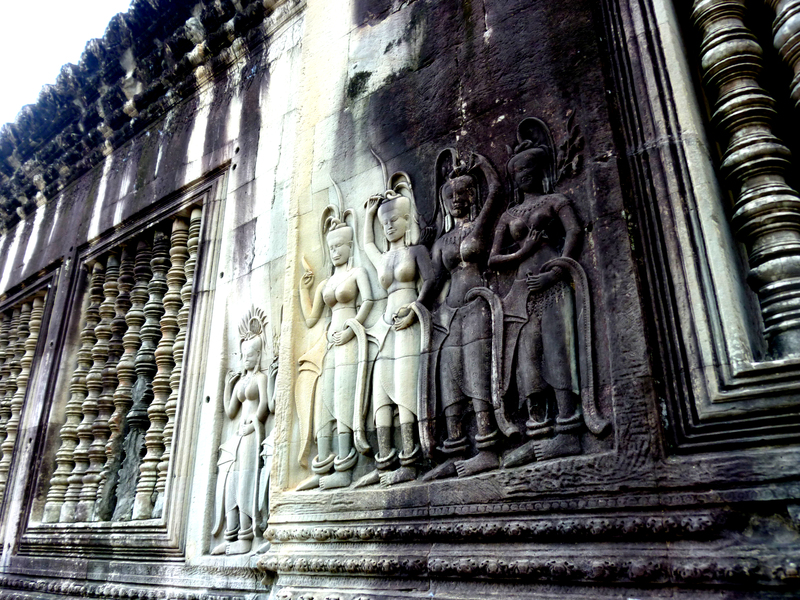 What makes the Khmer dances different from the Balinese maidens dancing the Legong is a certain statuesqueness found in the temple carvings. This makes Apsara dancing even more of a spectacle to look at for the beauty of the dancers and their incredibly detailed costumes, although the movements are much more simple. I suppose a statue may inspire an outfit, but not much in the way of movement. 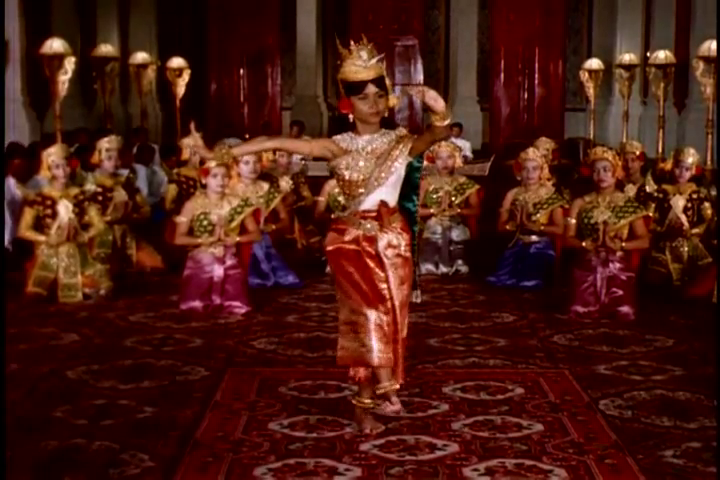 Although other forms of Cambodian dance can involve acrobatics. 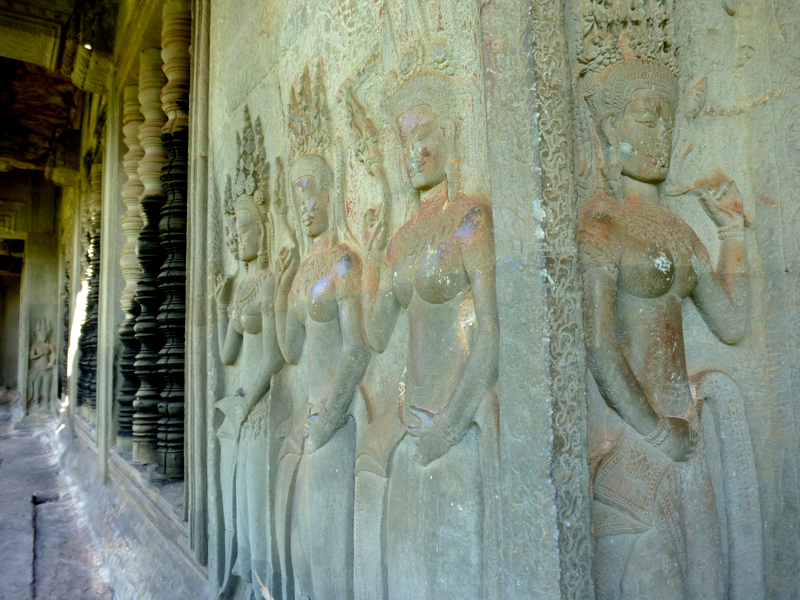 If you are ever in Cambodia do go along to a performance and support a beautiful ancient art that was very nearly wiped out. Cambodia Living Arts is an organisation creating a sustainable environment where Cambodian arts can empower individuals and communities. You can see a dance show at the National Museum most evenings.